Just north of the Prado, tucked away just off the Calle de Génova, a main thoroughfare through Madrid, sits Calle Orfila, home to more galleries on a single block than probably any other in the city. 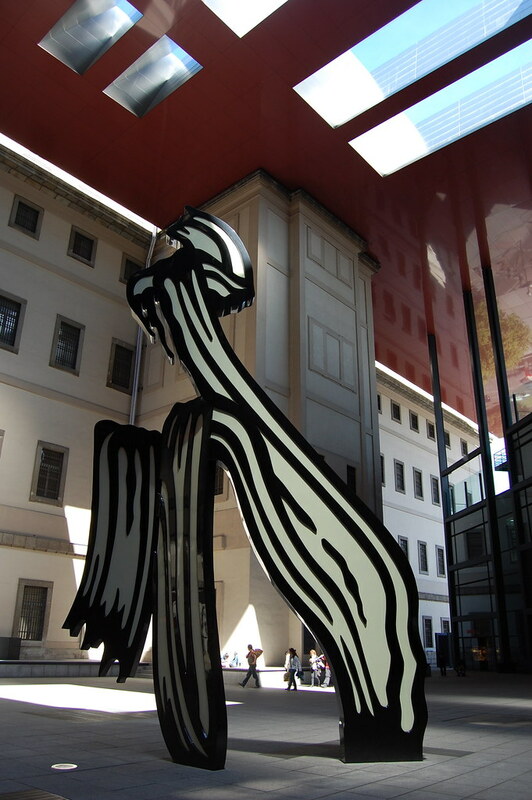 Below are three of our favorites, followed by an obligatory, inadequate reference to the Reina Sofía. The Marlborough empire stretches into Madrid, focusing here on Spanish artists. 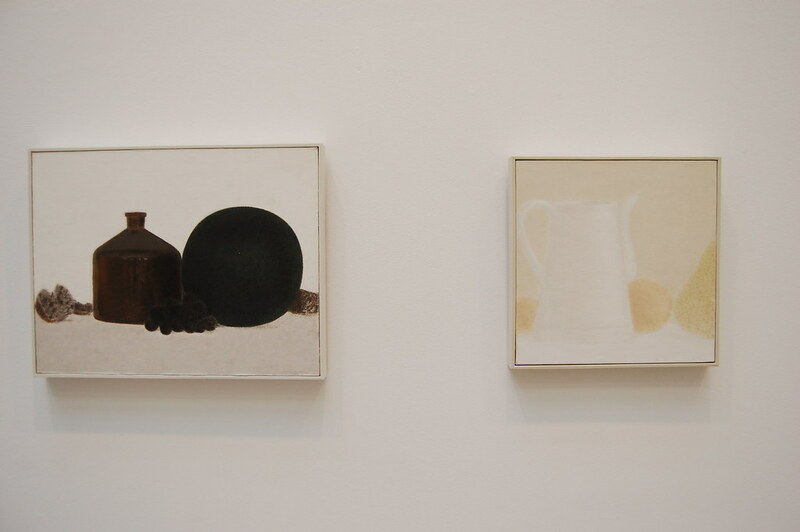 Juan José Aquerreta paintings - elegant little still lifes that suggest Morandi if he had decided to paint bright, glimmering fruit and rich, dark pottery - were on display on our visit. The gallery itself is large and airy space; well worth a visit. Soledad Lorenzo sits right next door to Marlborough and shares its address. Though equally ambitious (they represent Catalan superstar Antoni Tàpies), their program veers toward the more adventurous, having worked with Tony Oursler, Jennifer Steinkamp, and Robert Longo. Having just seen a show of Erik Schmidt's impastoed canvases at Elizabeth Dee a few months ago, walking in to find more of his work on a random street in Madrid was a particular uncanny experience. He handles his thick, heavy paint so lightly it could be meringue. The title of his work above is a winner. 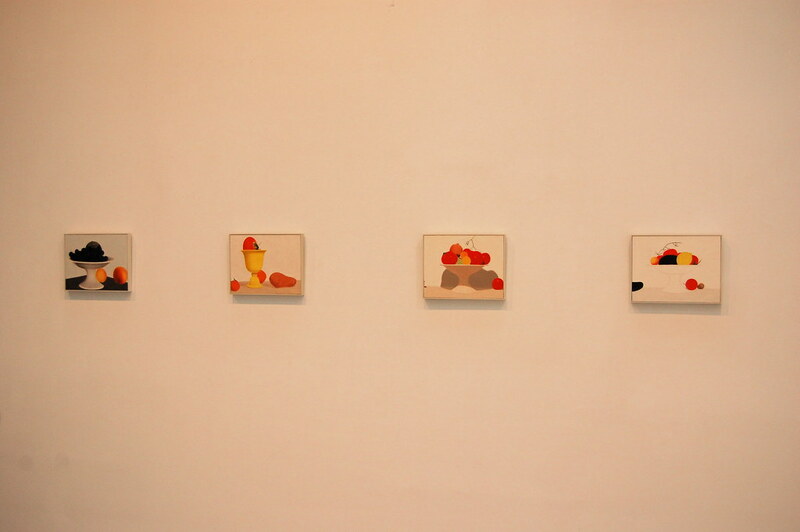 Galería Cayón largely focuses on secondary market work, but they feature that choice material, usually grounded in minimalism and international, in frequent group shows. Spain's national museum could comfortably curate its permanent collection throughout its enormous series of buildings (or just store away everything but Guernica) and still be one of the world's best, most-visited art museums. It turns out that the staff does a great job with their collection but also finds time to tackle major contemporary projects. Paul Thek, who still so absurdly marginalized in American museums (though his work regularly on display at the Walker is one of the first works of art I remember seeing as a kid), gets a major retrospective in one gallery, Richard Serra dominates another with a permanent installation. 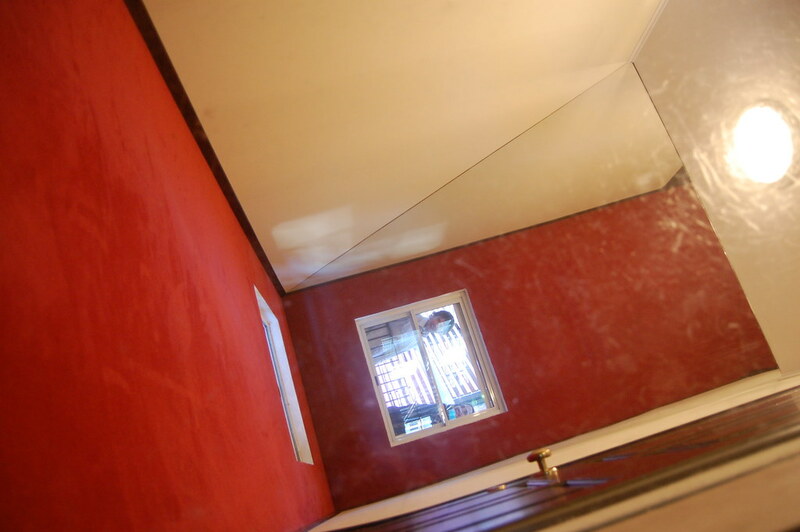 A tower of mirrors (brutally underserved by my photographs) built by Leandro Erlich (responsible for the faux-swimming pool at P.S.1 at the moment) and videos by Alia Syed rounded out the pretty remarkable selection of artists.